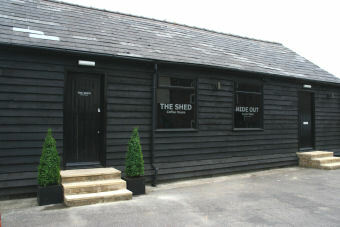 The Shed is a coffee house in Sawbridgeworth which Shedworking recently saw recommended on Twitter which not only serves coffee and pastries but even encourages you to bring your slippers along. There's internet access - they will even lend you a laptop - and a good shop selling works of art and children's clothes. In the evening, the premises are available for hire.